If you were unaware about the European Union’s newest ban on halogen, you’re not alone, as an international consumer survey found that a whopping 64% of UK consumers had not heard anything about it. 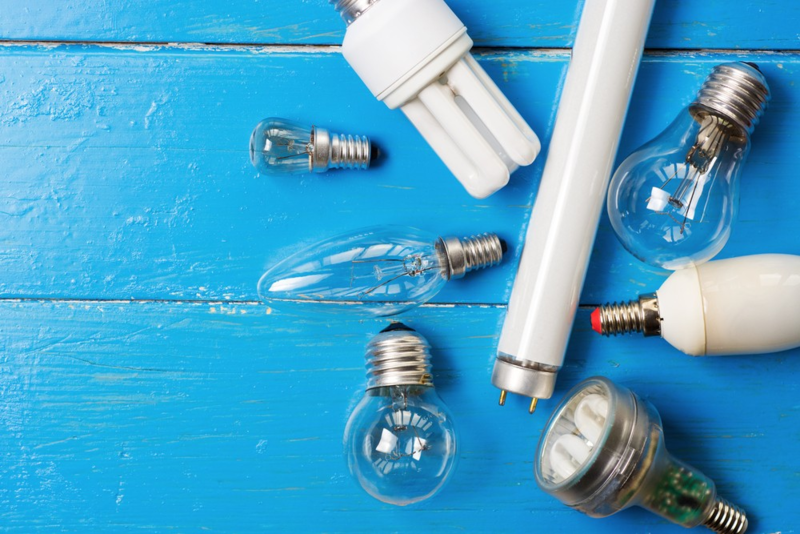 The final phase of EU energy regulations came into effect on Saturday 1 September 2018, meaning that halogen bulbs will soon be phased out and no longer available on the market. This has come two years after the ban on halogen GU10 spotlights. Back in 2016, lighting manufacturers managed to buy halogens some time, arguing that the higher upfront costs of alternative lamps, such as LEDs, meant they were not yet a viable replacement for everyone. Now that this final phase has come in, consumers will be expected to opt for more energy-efficient products. Why are they being banned? In recent years, the EU has cracked down on less energy efficient home appliances, including light sources. This is all part of the Ecodesign project that aims to improve energy efficiency and cut carbon emissions across the EU. These efforts began in 2009, with the planned discontinuation of the traditional incandescent light bulb. Halogen bulbs fail to meet the new regulations as they use a lot more energy than the alternatives do. They also have a considerably shorter lifespan, as the typical halogen lamp is expected to last just 2,000 hours. LEDs, on the other hand, can offer up to 50,000 hours. It is likely that you will still be able to purchase halogen bulbs for a while yet, since retailers are allowed to sell off their existing stock. The GU10 spotlights that were banned in 2016, for instance, can still be found in some shops. Although, certain retailers, like IKEA, have already approached the subject more seriously by implementing their own ban on halogen and choosing to stock only more energy efficient LEDs in their stores. Some specialist bulbs, such as the G4, G9 and R7s, which are used in some home appliances, are exempt from the ban as there are no viable LED alternatives for them. As long as the UK is following EU legislation, these rules apply. Even if the UK decides not to follow this legislation, manufacturers have already indicated that they are unlikely to produce products exclusively for the UK, so new halogen lamps will still be unavailable to us. Are LEDs really more expensive? Initially, the upfront cost of LEDs can be higher, but in the long run they will save you money. Since LEDs use less energy, you’ll spend less on running costs, and as they typically last a lot longer (between 10 and 30 years depending on usage), you won’t have to buy replacements all the time. In fact, prices have been decreasing over the years as the technology becomes more commonplace. Some retailers sell LED bulbs for as little as £1; although, as with anything, you pay more for quality. Do I need to replace my halogen bulbs now? There is nothing to stop you from using your existing light bulbs. The ban simply means that no new halogen lamps will be coming onto the market. Therefore, replacing your bulbs one by one as they expire may be the best way for you to convert to energy efficient lighting. If you like the idea of saving money straight away through the running costs, however, you might consider switching to LED sooner. Please read our other blogs for more advice on how to convert to LED lighting.